A national construction company has been fined £750,000 for safety breaches that led to tower crane collapse that left two men dead. Falcon Crane Hire Ltd appeared before Southwark Crown Court after a September 2006 investigation into the incident by the Health and Safety Executive (HSE). 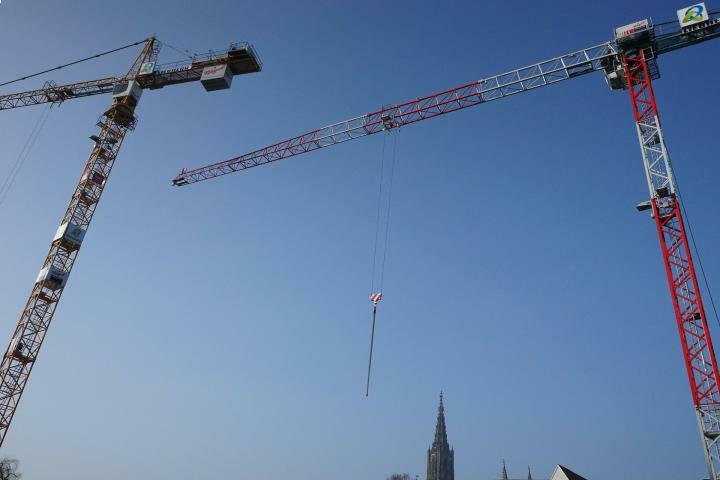 A separate police investigation found that the crane had dangerously been overloaded with 12 tonnes of counterweights rather than the usual eight. Questions were also raised over why Falcon failed to investigate a separate incident two months previously where four bolts on the crane had failed. If your business is involved in dangerous working environments, it is your responsibility to ensure the safety of your employees and any members of the public that may be near your place of operation. As well as good health and safety policies, your business should also consider employers’ liability insurance and public liability insurance in addition to the required general business insurance. Jonathan Cloke, the crane driver, suffered severe head injuries which led to his death, after falling from his cab as the 50m crane collapsed. The crane was being used to build a block of flats on Thessaly Road in Battersea, London. Michael Alexa, a member of the public who was changing a car wheel at the time, was also killed by the falling tower crane. Alistair McCreath, the judge in the case, ordered Falcon Crane Hire Ltd to pay a fine of £375,000 for each victim and to pay court costs of £100,000. The judge said of the case: “There is no financial worth that can be placed on a person's life. However, there is culpability due to the failure of the company to make changes.